Have you looked at whether the reading style is geared toward the students you typically encounter? Is the text written for beginners or experts? Have you compared your actual expectations (objectives & expected outcomes) to the content available in the textbook? Is the textbook organized in way that facilitates learning by both reading and raiding? Of course, no textbook is going to fit you, your students, and your course like a glove. Even if you create your own, or edit a custom version of existing text material, the fit will change as you and your course evolves as you gain teaching skills, adjust your techniques, and your students' needs change. Textbooks fit like a mitten, not a glove. Because the best they can do is approximately fit course objectives and content, student learning needs, and your teaching approach. But mittens are great. They cover your hand and give you some wiggle room. As a "mitten" your course textbook should cover what you need it to cover. It's okay if it covers a bit more than you need. That extra coverage will be used later for reference and future learning in professional and clinical courses. Extra content also helps fill in prior learning gaps, which allows students to "get it" on their own as they read or raid. And extra content may help students better see the context and importance of the required content. Satisfying natural curiosity is not a bad thing, either. Although well-fitting mittens cover a bit more than they need to, a mitten should not be too big. So having so much content in a textbook that it's hard to stay focused mainly on the required content is not good for learning. 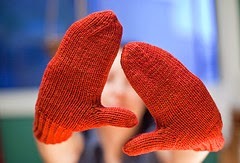 Conversely, a mitten should not be so small that you can't get it around your big hand or wiggle your fingers a bit. Some mittens have special features like a slit through which you can extend your fingers when you need more precise movements than your mitten will allow—as when opening your flask of hot tea. If your students would benefit from a supplemental atlas, an audio glossary, a list of word parts for each term, or other special learning features of textbooks, then consider those carefully, too. The key is to think of a textbook as an off-the-shelf item that will never fit precisely. It's up to you to make sure it fits well enough. And the only way to get that fit is to try on all the mittens. Don't just glance at them, really put your hand in and see what they're like. Plaid mittens are the best. That has nothing to do with the analogy I'm making here—I just like plaid mittens. Here are some computer-based activities that help students learn specific concepts of physiology produced by veteran professor Pete Shepherd. Dr. Shepherd has been developing over the course of many years based on his extensive teaching experience. A while back, I told you about the Life Science Teaching Resource Community and its archive of free teaching and learning resources. Here's an example of a collection of resources from that archive that your students can use to "play around with" physiological conditions to see what changes occur in the body as a result. All of them can either be used in the classroom/lab setting or can be used individually by students for self-learning. 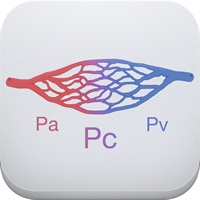 Capillary Pressure, which illustrates the vascular control of capillary hydrostatic pressure. Alveolar Gas, which lets you study some of the physiological factors that affect the composition of alveolar and expired gases. Such factors include dead space, tidal volume, the frequency of breathing, and the rates of oxygen consumption and carbon dioxide production. A worksheet is included. Blood Oxygen, which enables the user to change variables like the PO2, hemoglobin concentration, and hemoglobin's affinity for oxygen and calculate the concentrations of oxygen in the form of oxyhemoglobin and dissolved oxygen. Simulations include anemia, polycythemia, comparing the effects of oxygen inhalation in a pulmonary "patient" with a normal person, carbon monoxide poisoning, hyperbaria, etc., as well as the concepts of the Fick Principle and the arteriovenous oxygen difference. Pulse Pressure, which simulates the arterial pressure pulse. The user explores factors like heart rate, stroke volume, arterial compliance, and arterial resistance and see how they affect the arterial pulse pressure. Sat Curves, which allows the user to demonstrate the effects of pH, PCO2, DPG, and temperature on the oxyhemoglobin dissociation curve. Two graphs are displayed so that one can serve as a control and compared with the other. Cursors on both graphs can be manipulated to obtain exact readings of oxyhemoglobin saturation as specified PO2s. Huntingtin, the abnormal protein that produces clumps characteristic of Huntington disease (HD), can spread from one neuron to another. That's what a recent study has uncovered. Because such protein clumping is observed in other neurodegenerative disorders such as Alzheimer disease (AD) and Parkinson disease (PD), some scientists hope that understanding this newly discovered mechanism of transmission within brain tissue may lead to possible treatments or preventive strategies. If you want to read more about it, check out the resources I've provided below. This information can help us answer those pesky "why do we need to know all this if I'm going to be a [insert health profession here]?" challenges when covering the details of protein structure. The sequence of amino acids and the complex folded structure of proteins really does have real-world clinical implications. And is already becoming necessary to understand disease mechanisms and treatment strategies. In real life! Current directions in medical research—that proteins are hot! Plain-English article describing the new research showing that pathogenic protein aggregates that accumulate within neurons and are a hallmark of Huntington’s disease can propagate from cell to cell. E. Pecho-Vrieseling et al., Nature Neuroscience, 13 July 2014, doi:10.1038/nn.3761, 2014. Kevin Patton. The A&P Professor. 22 May 2012. Further discussion of why protein folding is important in the undergrad A&P course; includes links to other resources. Want to Fold Some Proteins? Kevin Patton. The A&P Professor. 13 June 2012. Introduction of the Foldit game that allows anyone to participate in protein-folding research by playing an online folding game.